In 2011, when our founder and Executive Director, Sally Auger, retired, we wanted to honor her commitment to helping Native youth thrive and succeed. The Sally Auger Rising Star Youth Scholarship recognizes the motivation of Garden Warriors youth we work with, who are actively working to improve their own lives and the life of their community. In 2017 another scholarship was started by the Randal and Gina Wilson to support our youth in attending post-secondary education. Each year a small committee reviews potential applicants and awards the funds to help individuals pay for tuition, books, and living expenses while attending college or other post-secondary education. To donate to the youth scholarship funds, visit our Donate Page and include a note that your donation is for the "Youth Scholarship Fund." Alternatively, mail a check or cash to our office address (1308 E Franklin Ave, Minneapolis, MN 55404) and include "Youth Scholarship Fund" in the memo line or with a note.  To learn more about how you can contribute to youth scholarship funds, email our Executive Director, Diane, at diane@dreamofwildhealth.org or 612-874-4200 (ext. 104).